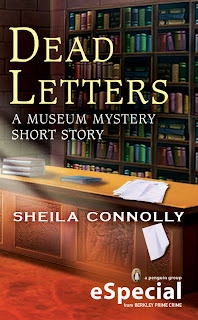 By Nell Pratt, in Sheila Connolly's Museum Mystery series. I like to think I'm a rationale, sensible person, but sometimes things are kind of hard to explain, you know? I work in a public building that's over a hundred years old now, and anybody who's ever spent time in one like it knows that odd things can happen—bumps and thumps, for example. I can tell myself that's just the building's bones creaking. or the furnace coming on, or a change in the weather. But then there are things that aren't quite so easy to label, like why a copy machine in a dark corner will suddenly turn itself on when no one is near it. Electrical surge? Maybe. But why is that machine the only one affected, and not all the others? But that's not quite as odd as what happened when one of our most valued members asked me to find something for him in our collections, but quietly, without telling anyone else. I was happy to help him, but the more I looked into his request, the more strange events kept happening. All good ones, thank heavens, like finding a document that I was looking for in a place I knew it hadn't been the day before, or having a book fall at my feet, open to exactly the page I needed. One discovery like that can be a coincidence, but several in a row? I'm not superstitious, but I think I had a little help on this project, and I'm not entirely sure it was mortal. ooh, I love hearing about these occurrences and I can't wait to see what you're looking for and if you found it. 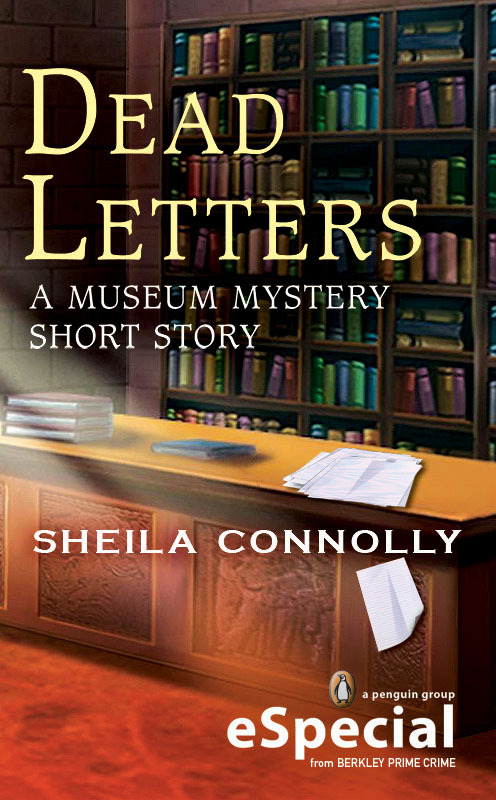 Love the cover of your short story. Books do have a certain kind of magic . . .
OOOH, I like these kinds of stories, too. Please tell me there isn't a human explanation. I love the tingling feeling, especially around books. It's like they might be inhabited by their characters, in on the game. Did these take place in any particular section of the library? Like the paranormal? Sounds intriguing, for sure! Hmm... or someone - here or hereafter -'helping' things like that to happen? Oooo. A ghost in the museum? Sounds like a helpful one. But if there's one, there could be more . . . .